Can I sue if for a product defect injury? Product defect lawyers Arlington, VA residents trust know all too well that it is rare for somebody to anticipate an injury from the products they buy. After all, it’s usually safe to say that we can assume all products that hit the shelves have been tested and are up to safety codes. After all, it should come as no surprise that it is the manufacturer’s responsibility to make sure all the products they release for consumers are safe. Most of the time, our products work as they were intended. We buy food at local grocery markets and it functions perfectly to feed our families. The new appliances in our home work great to make life just a little easier. The toys we buy our kids are entertaining and hazard-free. But what happens when a product is defective? Product defect lawyers in Arlington, VA get this question a lot. What can you do if your product is defective and caused harm to you or your family? A lot of the time, these cases can seem to come out of nowhere. Generally, most people aren’t prepared for what to do if they suffer an injury from a defective product, especially if it’s serious. If you or a loved one find yourself in this position, you may be wondering, what action(s) can I take and how can afford to pay for these medical bills? More importantly, who is to blame? If you were using a product as it was intended to be used and it causes you to suffer from an injury, the manufacturer may be liable. 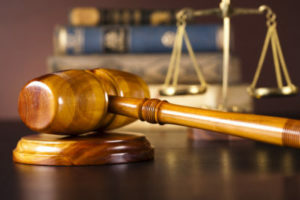 Experienced product defect lawyers in Arlington, VA will advise that if your injury is serious or in any way an inconvenience, you should seek further action. In fact, there are a series of steps you can take in order to best do so. First things first, it is important to deal with the pressing elements of your injury. If you injury is serious and/or is worsening, you should seek medical attention immediately. In the most extreme cases, it is advised that you call 9/11. Once you have dealt with your injury, you should then collect as much information as you can on the incident that caused it. What product were you using? How did it cause you an injury? Product defect lawyers in Arlington, VA will likely advise you to, if possible, take photographs of both your injury and the product that caused it. Save any medical records or other documents that can help your case. Although you do not want to jeopardize your well being in the process, collecting documentation can provide excellent evidence in a court case should you decide to sue. It is then advised that you seek out a skilled legal professional, with the experienced and knowledge to help you succeed. When looking for a law firm to choose, take a look into their track record. Have they been successful in cases like yours before? Whichever product defect lawyers in Arlington, VA you choose to hire, make sure they understand that every case is different. There are so many products out there and they all have potential to break or not work properly. That being said, there are several products that cause injuries more than others include (but certainly not limited to): cosmetics, apparel, appliances, food and beverage, toys, machinery, and automobiles. If you or someone you love has suffered an injury from a defective product, it may benefit you to call Cohen & Cohen, P.C., a team of skilled attorneys proudly serving Washington D.C., Virginia, Maryland, and the surrounding areas. Do not hesitate to call us today and we will be more than happy to set you up with product defect lawyers Arlington, VA residents count on.